Now I was able to dedicate myself to this (kinda rare) downtempo track from Mark. I was immediately drawn to the sentimental mood of the guitar line, it sounded like the track itself was recalling some fond memory. 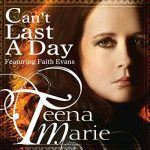 Rah and I had just had a long conversation about the loss of Teena Marie and how bad she was, how relevant she remained, how her phrasing and songwriting was so top-notch… We recalled the phrasing of “Lovergirl”, esp the vamp “Coffee, tea, or me…” bit. So when I heard Mark’s track, and Rah was already gone, and I was all alone in the studio with the lights barely on, I began singing that phrase from “Lovergirl”. I couldn’t believe how perfectly it seemed to settle into the track. I knew right away that this is what I’d record – a humble tribute to one of my favorite recording artists ever, Lady T.
I looked up the lyrics and just started making mental notes as to how I would structure of the song. I really liked the idea of starting with “When the push comes to shove” because that phrase was one of my favorites in the original. I always loved when Teena would just “speak” lines, ya know? So I had the basic structure completed, in my head. I was ready to rock. When Grant returned, I barely let him eat his food before I was like “pull up this track, I wanna record something else!” (Sorry Grant. I know I can be a workaholic. Please forgive me. I promise to take more breaks in the future.) Grant passed me some french fries because I guess I, too, need to eat. He pulled up the track and we began recording. 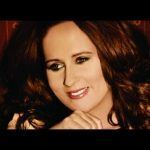 Thank you Teena Marie for your many contributions to the world of music. Your performances, your writing, your musicianship and your voice will remain, and rightfully so, eternally in the world of classic music. Soul, rhythm & blues, and beyond. You are forever a Starchild. This is for you Lady T. You said, “I just want to rock your world”. And that you did.